A carcass-eye view by of a Lion by German photographer Juergen Ross. 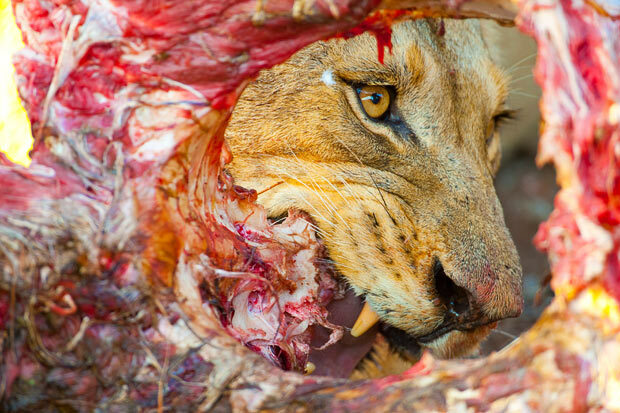 This lioness is framed by the carcass of a giraffe that was the subject of lunch in South Africa's Kruger National Park. This picture was a category winner Veolia Environnement Wildlife Photographer of the Year. cool but yuck at the same time.